I was recently playing Past Purposes on SC1. I got to mission 5,and couldn't progress any further. As anyone that has played LotC PP knows,mission 5 ends when the Fleet Admiral calls in a nuke strike and the player has to stop it by capturing his communications post without destroying any of the ComSat Stations. I was able to kill all of the enemy units without destroying the comsat stations,and yet nothing happened,the mission timer just slowly ran out. On the next run,I even tried keeping the command centers alive,and nothing happened.Is that a bug of some sort? After the timer expires the entire city should be obliterated by the nukes. Please advise if this happened. If so, despite it saying 'defeat,' you still technically progressed the story, even if you failed to stop the nukes. There is no way to stop those missiles. Wow,you actually replied to a post concerning the SC1 version despite it being almost..ancient,I did not expect that. I replayed the mission,and it progressed just fine. However,mission 4,the one where you have to nuke the cerebrate,crashes after the backup transport arrives. I know you won't be able to update it,but I'm just merely pointing that out. I haven't had that error reported before. You are correct in that it won't be updated. But do keep in mind the reason for that is that LotC for StarCraft 2 is in production, so this mission will be playable in Blizzard's new game engine. do keep in mind the reason for that is that LotC for StarCraft 2 is in production, so this mission will be playable in Blizzard's new game engine. Can you provide a link to the map in a separate post once it is done? Will the map be published on the United States server? I have seen Jayborino's gameplay of Dawn Of Darkness (Which is how I came across this), and I got a question: Were any characters inspired by people you have met online. The characters in Imposter's map series campaign called "Mapsters" (Missions are: Vespene Warlord,Snowball's Chance,Omashu performance review,Jayborino's Laboratory, and Cult of Sixen) on SC2 are named after users he knows,does the same apply to your campaign? 1) Release won't be until Q2, 2016 for the first episode. That said, there's a mega update coming tonight about LotC and I'll publish a link to it before midnight CST. 2) It will not be playable in the arcade due to the size of the files. 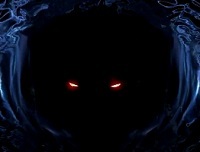 The maps will have to be downloaded and played from a person's SC 2 folders. 3) The characters are 100% fictitious and any resemblance to actual persons living or dead is purely coincidental. The fact that the maps have to be downloaded worries me: I use the Starter version of SC2,is there any way to know about compatibility beforehand? It is highly probable that LotC will not be compatible with the Starter version of StarCraft 2. I just finished the SC1 LotC campaign of Past Purposes.I have to say,the music is very emotional, I like the desolate wasteland style in the last mission. 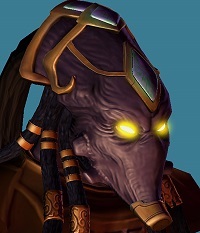 Kind of ironic that the Russians from the prologue were right all along about not trusting the Protoss,eh? Replayed the entire campaign just for the experience again. I used Operation Cwal when I replayed mission 7 just to not have to wait to rebuild my forces break through the rebel stronghold again. Everything was fine at first,but when I got to the part where Typhon becomes a Tassadar Templar and then destroys the zerg base,I immediately get a defeat saying that my troops killed some of the archive's guards after The Oracle(I see what you did there ) tells me to bring Typhon back to the healing beacon to become a Dark Templar.